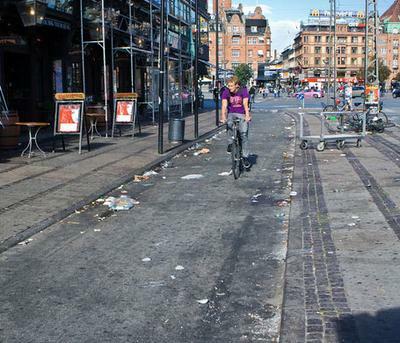 I've heard that Copenhagen - one of the cleanest cities in the world. This was a blatant lie. Such as garbage in Copenhagen, I did not see anywhere in Northern Europe, even in dirty Riga.